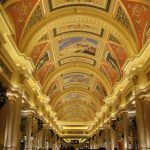 When a 25-year-old software engineer from Phoenix called Bill Elfritz put his last $20 into the Megabucks slot machine at the Excalibur casino in Las Vegas, he probably wasn’t aware of the history of the game he was playing. In fact, had Bill been around 100 years earlier, he would have probably been paid out in about 30 million packs of chewing gum. The Megabucks game he hit for a life-changing amount in 2003 contained some symbols new to modern slot machines. But there, like a trusty old friend, were the cherry icons that saw his $20 rise to such an astronomical amount. And back in the day, when the first slot machines were emerging in the United States, slots were all about fruit. 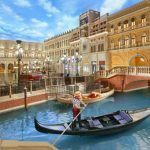 Online Slots – The Death of Fruit Machines? Fire up any online casino today and there are enough video slots options to satisfy the most jaded slots fan: 3-reel, 5-reel, 243-ways-to-win, animated cutaway sequences, superheroes, Expanding Wilds, Avalanche Reels and progressive jackpots. 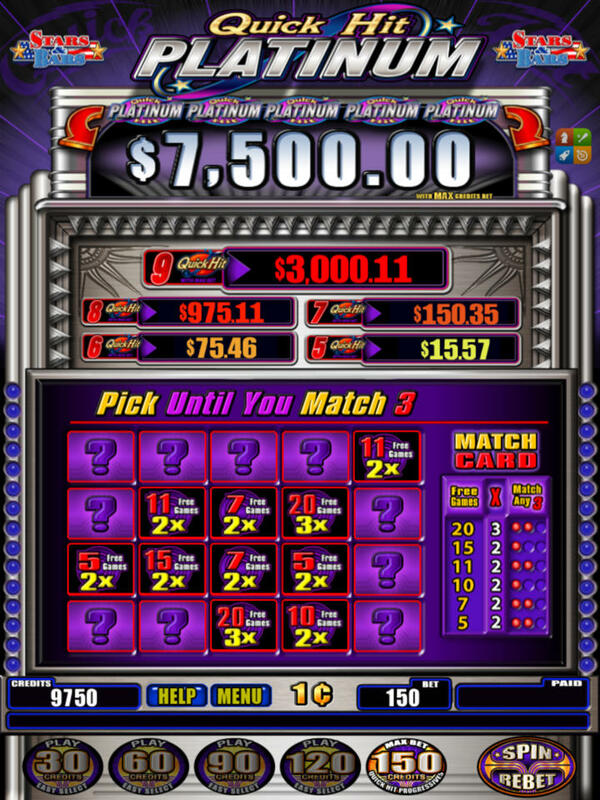 If there’s a system and a theme thought up, chances are it will become an online slot. However, the reality in 2013 is that the most popular online video slots – for the time being at least – are still the ones filled to the brim with fruit symbols – cherries, melons, pineapples, plums. These symbols are like a sign that you’re in the safe hands of a developer who understands classic slot gaming. 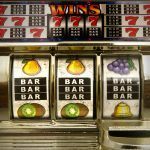 But where did these popular fruit symbols come from, how did they end up in slot machines, and why do they continue to be used? The first fruit machines appeared in America in the early 20th Century. Those early devices, such as the Trade Simulator, gave out winnings in the form of chewing gum, the various flavors depicted by the winning fruit symbols on the reels: you hit three cherries – cherry-flavored gum was yours; three melons would have won you a pack of yummy melon-flavored gum. But chewing gum wasn’t just a novelty addition – they were deliberately used as rewards in order to avoid anti-gambling laws that existed in many US states at the time. In fact, O.D. Jennings, who ran the Industry Novelty Company – and who was responsible for first introducing fruit symbols – called the machine a ‘chewing gum dispenser’. These “fruit” machines were based on Charles Fey’s Liberty Bell slot machine which had appeared some years earlier. Fey’s machine is the grandfather of modern slot machines. He introduced a machine with three reels, playing card symbols, and the Liberty Bell icon. In fact, the golden bell still exists today in many fruit machines. But it was Fey’s next machine, the Operator Bell, which incorporated fruit symbols. 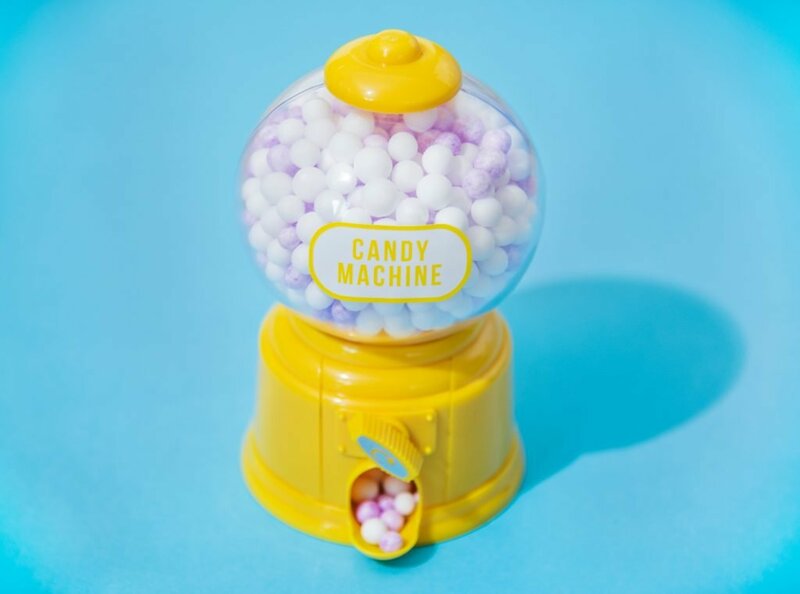 With the machines’ bright appearance, cartoonish graphics and prize giveaways, fruit machines were able to find their way into convenience stores in America – as they were able to dispense gum, the line between gambling and the vending machine became completely blurred. Soon, other developers were getting in on the act, and the model got improved and rejigged. With new technology, the payouts also got bigger and bigger. 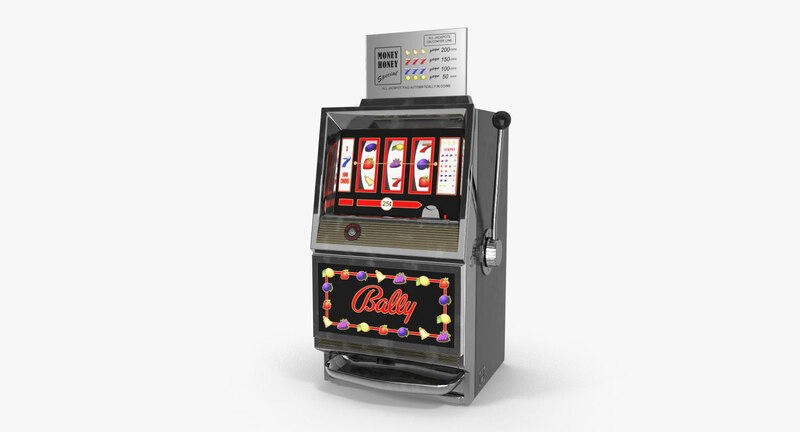 Two of the biggest slots developers of the 20th Century – Bally and Willams (WMS) – would go on to take the early models and expand their appeal. Featuring plenty of fruity goodness like oranges, melons, lemons, and cherries, Money Honey had one unique innovation – it incorporated an electric ‘hopper’, originally invented for coin counting in banks, which could hold a lot more coins than its predecessors. 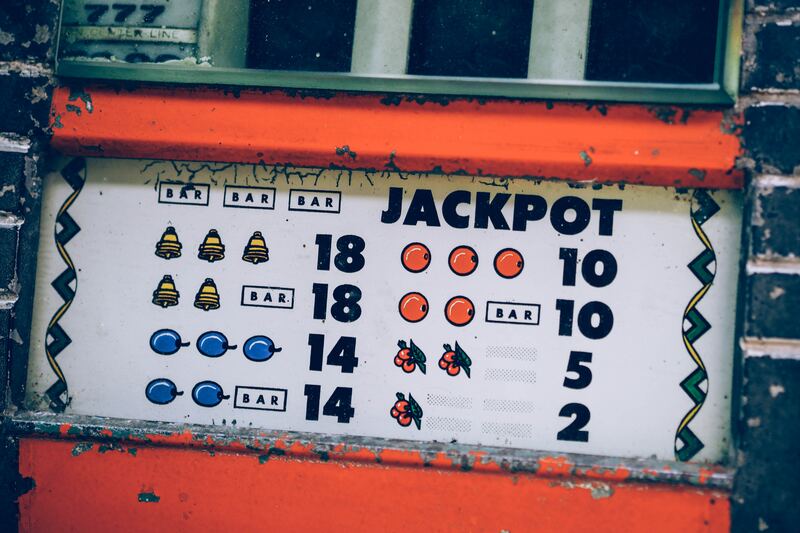 The jackpots grew exponentially when hundreds rather than a handful of coins could be paid out in one go. Big Bertha, a machine emerging in the 1960s and that needed a 5-horsepower engine to power the reels, introduced 160 reel symbols to increase the degree of randomness. Eventually, the machine would grow from three to eight reels, and with it bigger jackpots. However, new slots continued to attract hundreds of slots virgins. For the first time slots were equipped with chairs so more than one person could sit at them at the same time. The new electronic system – aided by revolutionary microprocessors – meant they were harder to cheat at too, making them much more appealing to the big casinos. The size of the machines also got smaller, meaning casinos could pack more and more of them into their casinos and increase profits. Big Bertha would become a museum piece. Despite the advancing tech, however, the fruit remained, a constant reminder of the old days. Fruit Machines – The Acceptable Face of Gambling? It was in 1950s and 1960s Britain where these machines exploded in popularity in cities and seaside towns, with the machines being called ‘Fruit Machines’ for the first time. Today these “fruities” are found in pubs, amusement arcades, even cafes and fish ‘n’ chip shops. It’s pretty hard to find an arcade in the UK today that doesn’t have at least a dozen fruit-themed slot machines. Usually coming in three reels, and carrying up to five paylines, the reels are dominated by lemons, plums, oranges, strawberries, and cherries. Fruit machines also usually have features unique to UK machines, such as the Nudge and Hold features. More advanced microprocessors were introduced, as well as Random Number Generators, to increase the house edge for casinos. Fortune Coin was the world’s first video slot, a 4-reel, 3-payline slot with an actual screen depicting the reels. It still had the customary ‘one arm’ mechanism, wood paneling (hey, it was the ‘70s) and came packed with fruit symbols. 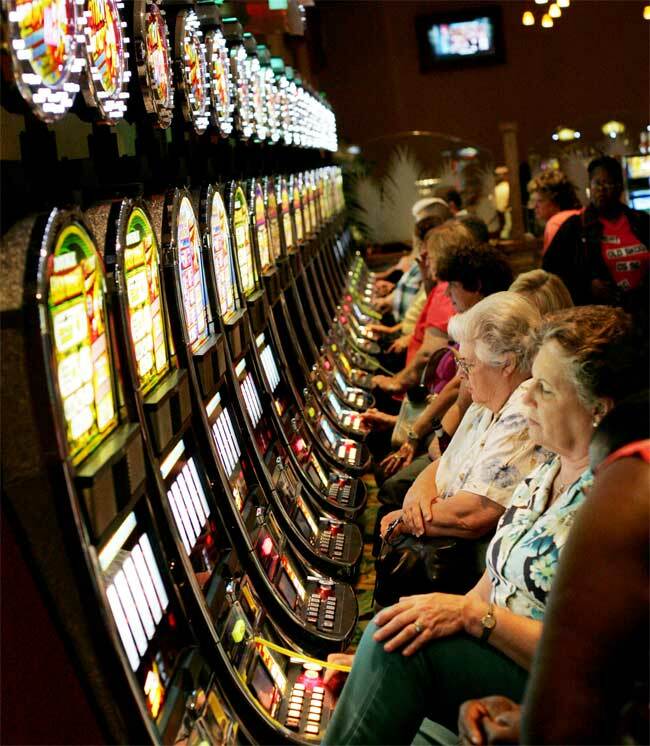 Despite some initial skepticism from players about the safety of a video slot – ironic considering what an improvement the new machines were on the old mechanical slots – the technology moved on apace, with IGT buying out Fortune Coin in 1978 and hurriedly bringing out their own video slot. While Bill Efritz was just starting elementary school, IGT were busy bringing out Megabucks – the first progressive video slot on the market and featuring the trusty cherries, along with other old-school symbols. It coincided with changing legislation in Atlantic City, meaning that a new market for bigger and brighter fruit-based slots was opening. The path for bigger and better video slots during the 1980s and beyond was set. Fruit Machines – On the Decline? The big Vegas Progressives aside, fruit-themed slots seem to be on the wane. 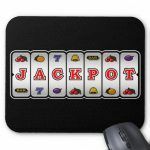 With online slots technology improving all the time, and the desire to increase the players’ gaming experience via cutaway scenes, expensive 3D animation, and ever more elaborate bonus rounds, the limitations of fruit symbols are becoming more apparent. 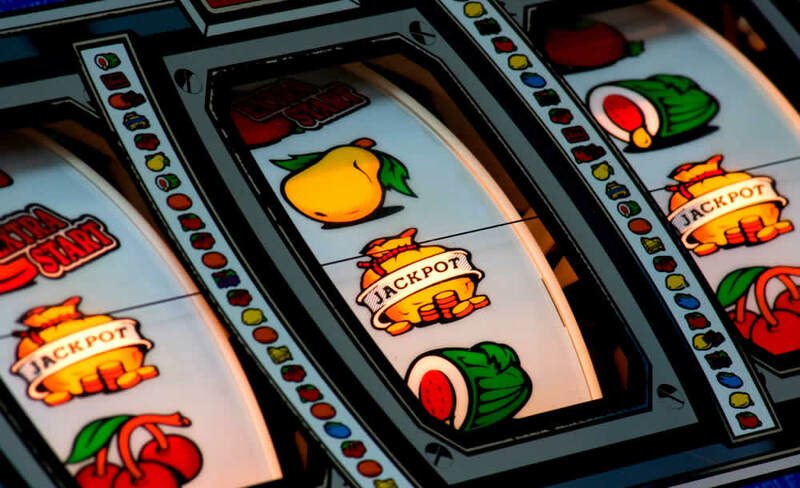 Despite the big progressive jackpots of Big Kahuna and Microgaming’s Fruity Fiesta, which both combine a retro, nostalgic feel with modern-day online sophistication and big prizes, it seems that fruit machines are on the decline outside the British pub or amusement arcade. Whenever you see three melons or cherries, whoever you are, it triggers something inside you. Whether it’s a nice memory from being a child, highlighting a sense of fun missing from today’s cynical world, or just a reminder that gambling should be fun, fruit machines are designed to attract the punter in. Online poker ditched the Wild West image of the old cardrooms in the early 21st Century, and now video slots manufacturers are ditching fruit in the same way. But for now, some of us will carry on trying to hit those three melons and dream of the good old days. Where did the BAR on slot machines come from?